The new Skills Panorama is here! Cedefop is pleased to announce the redesign of the Skills Panorama website. Faster to navigate and easier to use, the new Skills Panorama aspires to broaden its user groups and welcome guidance practitioners. · First results of Cedefop’s vacancy analysis. 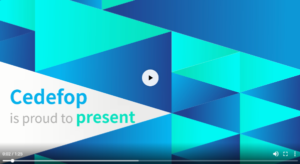 For a quick guide to the new website, watch a short video prepared by the Cedefop experts.